From Libya, we were off to Marrakech in Morocco. Marrakech is also known as "the Red City", as all buildings are the same "ochre" colour. Pretty stunning actually. Marrakech is one of Morocco's imperial cities and the second oldest in the country. It was founded by the Almoravids in the late 11th century. 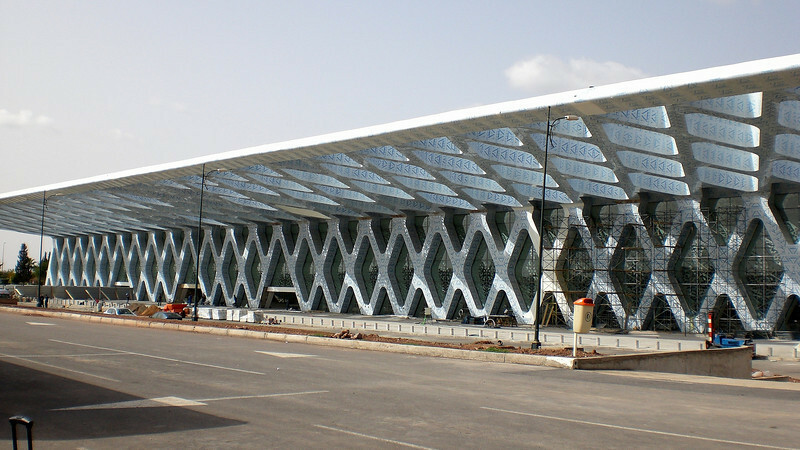 Marrakech International Airport - under reconstruction - February 2008.